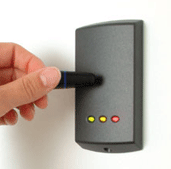 High Definition Security offer a full range of Access Control Systems that are tailor made to the client’s needs and can be integrated into many existing Building Management. If you have any questions about our access control systems, please feel free to contact us and we can suit to systems to your requirements. Contact us for quotes and advice.